The Gerbing 12 volt accesorie plug can be used as an universal plug, especially designed to power all of the 12 volt heated products made by Gerbing. 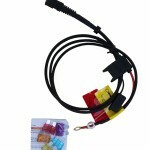 Provided that the vehicle has a connection, the Gerbing BMW / Hella / Cigarette plug can be connected to all motor vehicles. The adapter provides a direct supply from the vehicle to the heated gloves, heated jacket, heated pants and / or heated socks. The Gerbing 12 volt BMW / Hella / Cigarette Plug can also be connected to the junior controller (long Y-cable with built-in temperature controller) for the gloves, but also on the single temperature controller (TC-Single portable) and dual temperature controller (Digital TC dual portable) for the heated jacket, heated pants and heated socks. 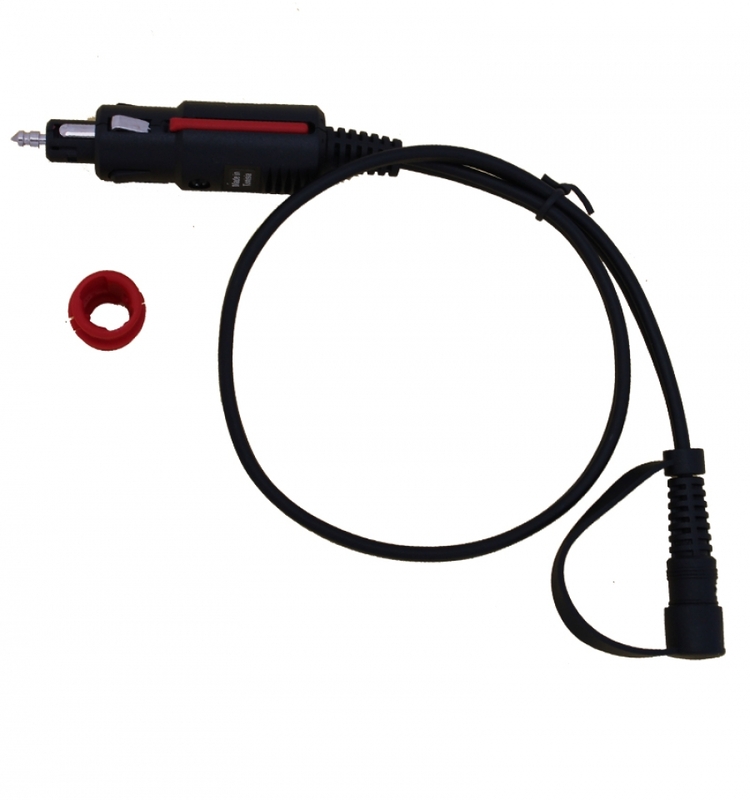 The Gerbing 12 volt BMW / Hella / Cigarette Plug is an alternative for the battery cable that is included with all our 12 volt heated products. When you own a mortorcycle with a CAN-bus system and you want to use the accesorie plug than you can only connect 12 volt heated clothing with a maximum power draw of 5 Amps. That means you can only connect 12 volt heated gloves, 12 volt heated pants or the 12 volt heated socks. A 12 volt heated jacket liner is not possible unless you connect everything straight to the battery with the 12 volt battery cable. 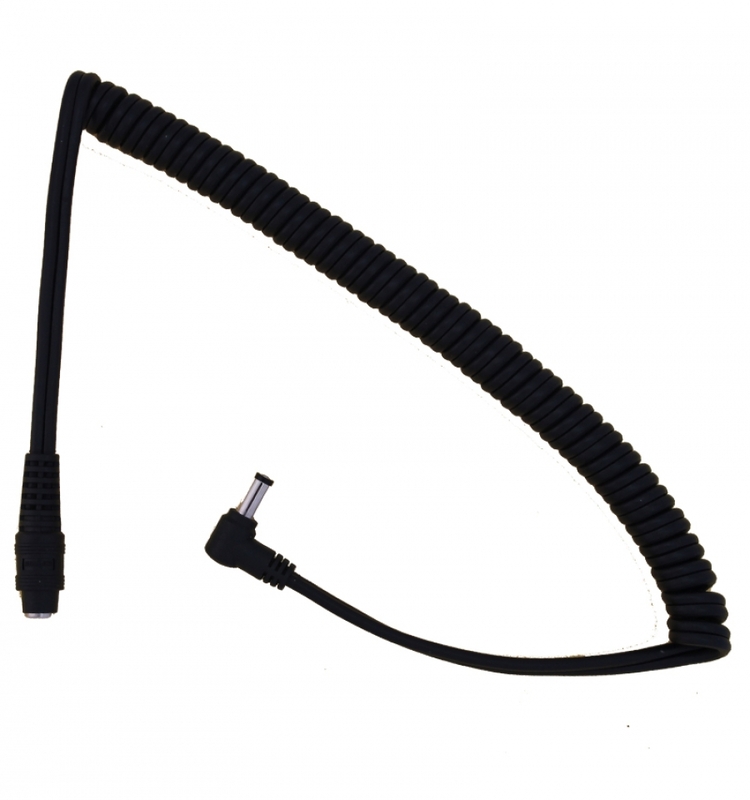 The Gerbing battery cable is specially designed to connect 12 volt clothing to the battery of a vehicle. 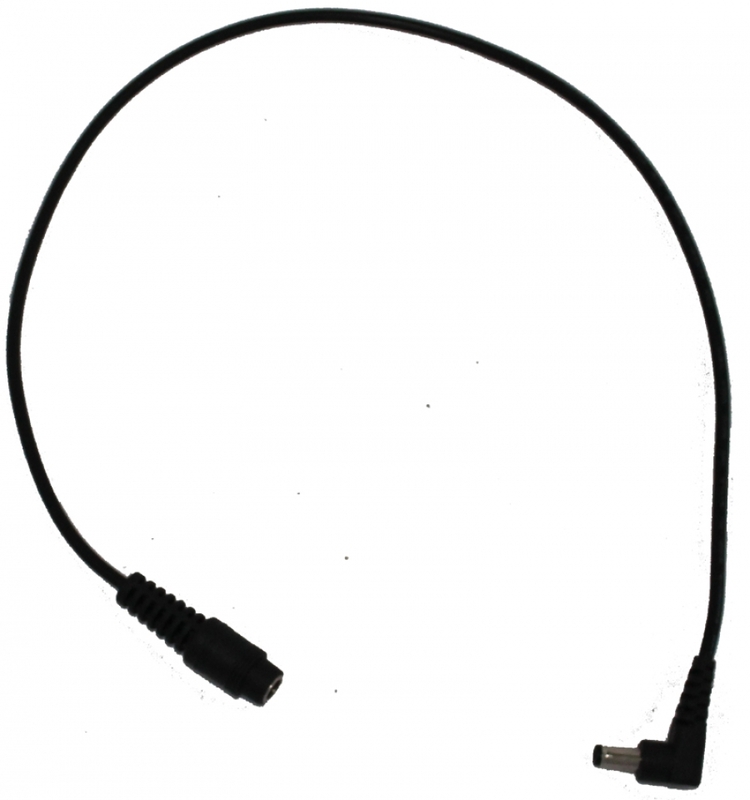 A battery cable is always included when you purchase a 12 volt product. You just connect the battery cable with the negative (–) and the positive (+) pole to the battery of the vehicle. Then you connect your 12 volt products to the plug of the battery cable. When you use more than one 12 volt product, you can use a splitter or a digital dual temperature controller to conect between the battery cable and the 12 volt product. The gerbing battery cable is 80 centimeters long and if neccasary you can use an extension cord of 50cm extra or the coil cord extension cable. 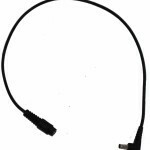 You can connect all our 12 volt product on the battery cable but every product has a different amperage. That is why we added 6 different fuses to the battery cable so you can use the right fuse for each product(s). Now it is also possible to connect 7 volt heated gloves to the 12 volt battery cable. You just use the 7 volt junior controller to plug the 7 volt heated gloves to the battery cable. The Gerbing long Y-cable is specially designed to power the Gerbing 12 volt heated gloves and 12 volt heated socks. 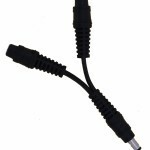 The Y-cable cannot be used for 7 volt heated gloves or 7 volt heated socks. Both the heated gloves and the heated socks have a different Y-cable. The 12 volt Gerbing Heated Gloves are supplied with a junior controller (long Y-cable with a built-in temperature controller) and a battery cable. 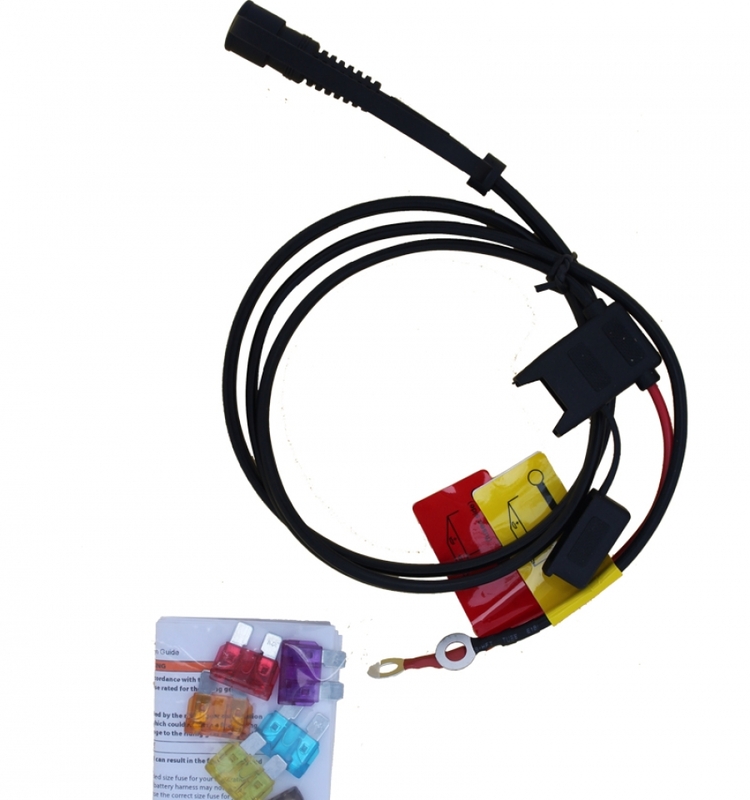 With this set you are able to connect your heated gloves to the battery of a vehicle. If you want to undertake outdoor activities you can connect the 12 volt heated gloves to a portable battery like the B12v5200 or the B12v8000. You will need a Y-cable because it is not possible to connect the Gerbing portable batteries to a junior controller. The 12 volt Gerbing heated socks come standard with a long Y-cable and battery cable. 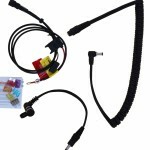 With this set you are able to connect your heated socks to the battery of a vehicle. 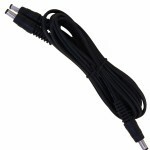 You can also use this Y-cable to the portable 12 volt batteries. If you want to regulate the temperature you will need the single portable controller. It is not possible to use a junior controller with our 12 volt socks. 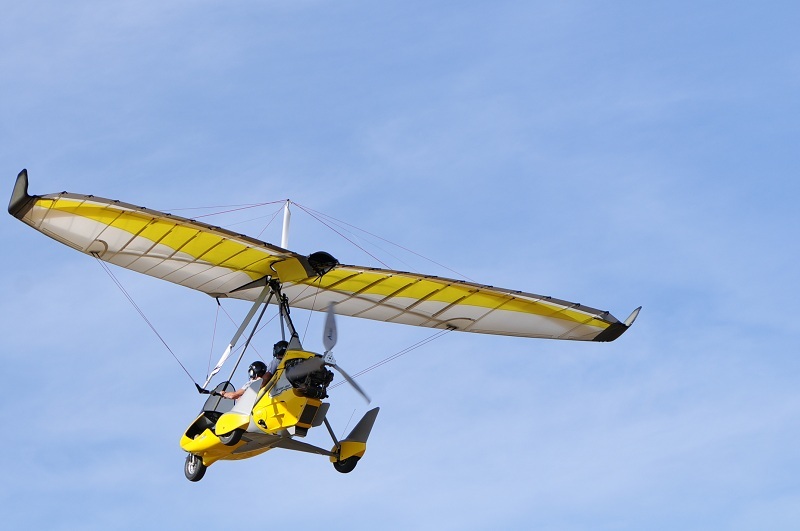 The Gerbing splitter is an accessory that at first was developed for our Gerbing 12 volt electric heated socks to connect to the heated gloves. The splitter makes is possible to connect two products to one battery hook-up. This way it is for example possible to connect heated socks and heated gloves to the splitter so there is only one connection to the battery hook-up. Only the Gerbing 12 volt products can be connected to the splitter. When you use the Gerbing splitter we recommend to use a temperature controller for the heated gloves and heated socks. For the heated socks you can use a single portable temperature controller (optional) and for the heated gloves a junior controller which comes with the product. Our heated gloves and heated socks will get a warmer feel as the temperature outside increases. A temperature controller makes it possible for you to regulate the heat. With the splitter you make your heated gloves and heated socks one heating system. That means that the garments wil be the same temperature. When you want to heat the products separately than you use the dual temperature controller. This controller can heat two products separately so in that case you don’t need a splitter. You also need the splitter when you have a combination of a heated jacket en heated gloves. The gloves can be connected to the plugs in the sleeves of the jacket, but inside the heated jacket there are two separate circuits (one for the heated jacket and one for the heated gloves) which makes a splitter necessary to provide both lines with power. When you use this combination with a double temperature controller then you don’t need the splitter. The Gerbing Panel mount KIT is designed to built in the battery cable in the nicest way possible so you can enjoy the use of your heated gloves, your heated jacket or your heated socks without a dangling cord from the battery hook-up coming out from your bike. A special port where you can connect the plug. The battery cable can be connected in the normal way but in the body work you drill a small hole where you can built in the port. 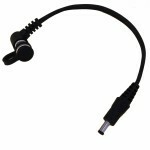 The plug of the battery cable is not longer hanging out of the seat at your bike but is built in nicely. The battery connector plug is completely hidden in the cockpit if the connector plug is not in use, you simply insert the supplied cap on the plug to avoid corrosion of the plug. The coil cord extension cable can be connected in order to overcome a shortage of wire. You can connect the heated clothing such as the heated gloves or the heated socks on the coil cord extension cable if you run out of lenght of the battery cable. On the panel mount port you can also connect the junior controller, splitter, single portable controller, dual portable controller to connect the 12 volt heated gloves, 12 volt heated jacket, 12 volt heated pants and the 12 volt heated socks. Inlcudes: 1 panel mount assembly. If you already have bought the products to make a KIT, you are ready to go and drill a whole in your bikes bodywork. Make sure you put the plug as close as possible to the plug which comes out of the heated jacket or close to the plug from your junior controller which comes with the 12 volt heated gloves. The Gerbing coil cord extension cable is an accessory that is specially designed to provide additional cable length between the battery cable and our 12 volt Gerbing heated clothing. 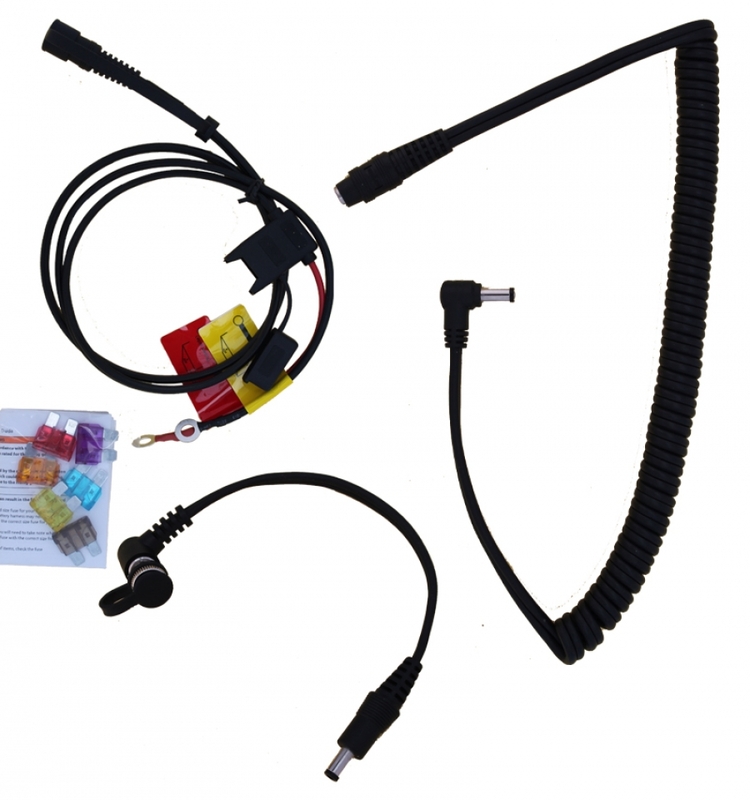 To connect the Gerbing 12 volt heated clothing to a vehicle you will always need a battery cable or a BMW/Hella plug. The coil cord extension cable can be connected to both accesories. 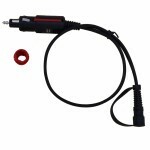 Connect the right-angle plug (female coaxial connector) to the battery cable and the other straight plug (male coaxial connector) connects to the 12 volt Gerbing heated product or to a temperature controller. The Gerbing coil cord cable has a curled length of about 50cm and stretched it will be around 100cm. The Gerbing Extension cable is an accessory that is specially designed to use additional cable length between the battery cable and our 12 volt Gerbing Heated Clothing and heated gloves. 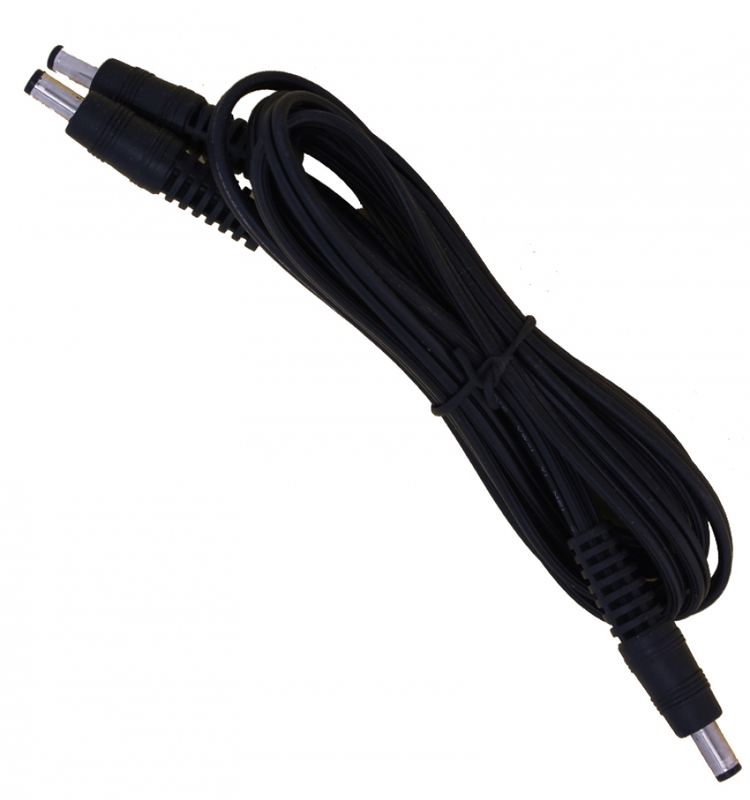 The extension cable has a maximum length of 50cm, including the plugs. The extension cable is easy to use and lightweight. 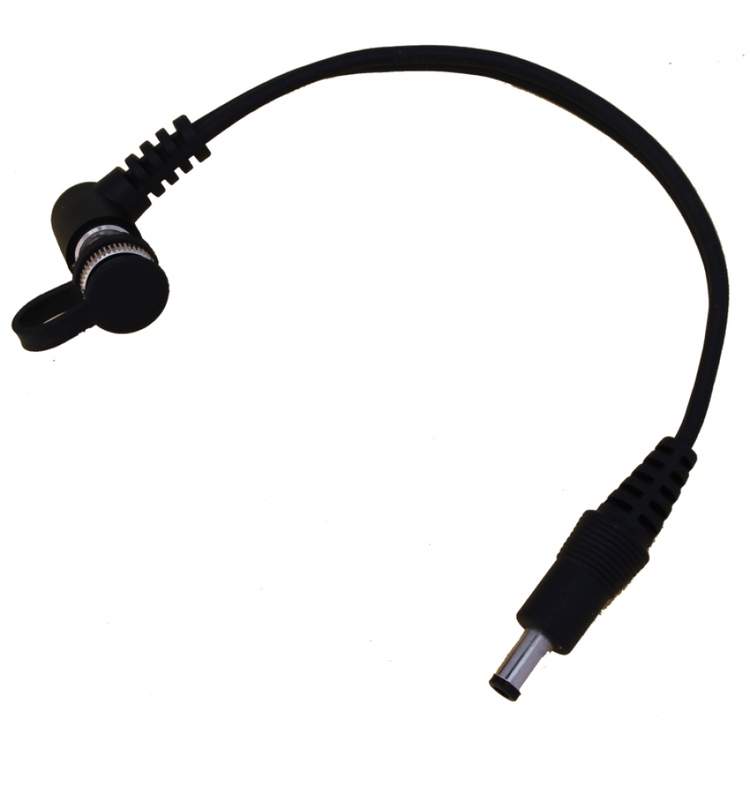 The coaxial female connector can be connected to both the battery cable and the accesory plug. The straight plug (male coaxial connector) can be connected to the 12 volt Gerbing heated product or to a temperature controller. 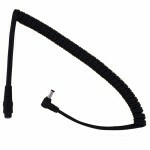 In some situations, you need more than 50cm and that is why we developed a coil cord extension cable. The coil cord extension cable is a little bit heavier but because you can stretch it (up to 100cm) you can easaly heat up the clothing of a passenger. When you use a 12 volt heated jacket and/or 12 volt heated pants connected to 12 volt portable batteries like the B12V-5200 or the B12V-8000. You can carry the battery in a special fanny pack and with the coil cord extension cable you can have the pack anywhere around the waist.